It’s not the best time to be a coral but, at least, it’s not the worst time to be one either. According to the U.S. National Oceanic and Atmospheric Administration (NOAA), the latest (and longest) global coral bleaching event should be over — but the three consecutive years of bleaching has left almost all of the 29 reefs contained in the United Nations Educational, Scientific and Cultural Organization (UNESCO) World Heritage sites extremely damaged. If we don’t cut greenhouse emissions dramatically, and fast, these reefs “will cease to host functioning coral reef ecosystems by the end of the century,” the UNESCO World Heritage Center in Paris reports. Dying reef in Mariana Islands, Guam. Image credits David Burdick / NOAA. We’ve all had one of those days or weeks when the stress just piles and piles up until you can’t take it anymore and break down — ‘bleaching’ is how corals do their breaking down. But instead of bosses, deadlines, and finals, they get stressed over high temperatures. When bathed in too hot water for too long, the corals will expel their symbiotic algae, known as zooxanthellae. These algae supply the coral with food via photosynthesis and lend them color — so when they’re evicted the coral turns white, or bleaches. 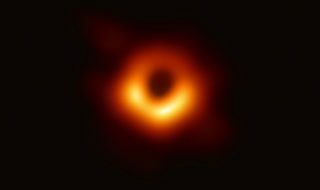 That’s how this phenomenon gets its name, and this is how it looks. If the waters cool down soon enough, the algae will return. 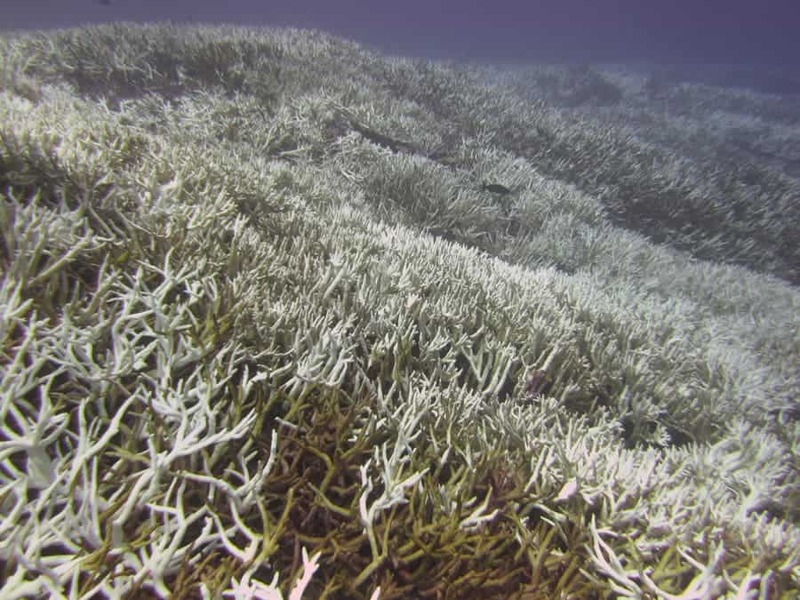 But if temperatures stay high and the bleaching persists, the corals will starve to death. Which is bad news for the corals and us both, since reefs support over a million marine species underpinning whole ecosystems that humans draw from. An estimated half billion people around the world directly depend on reefs for income from fishing and tourism. The Great Barrer Reef alone is thought to be worth $42 billion. That’s why NOAA’s Coral Reef Watch keeps a close eye on sea surface temperatures using satellite data — so they can model and forecast when and where waters grow warm enough to cause bleaching. The latest warming event started in the Atlantic, Pacific, and Indian ocean basins in mid-2014, and by 2015 coral bleaching was going into overdrive: while previous bouts lasted under a year, the 2015 bleach lasted 3 whole years. Bleached coral colony photographed around Howland Island during the Pacific RAMP expedition, 2010. At the root of the issue lie greenhouse gas emissions, which supply the energy needed to heat the oceans. To get an idea of how it will impact reefs in the future, the World Heritage Centre asked experts — including NOAA — to write the first study “that scientifically quantifies the scale of the issue, makes a prediction of where the future lies, and indicates effects up to the level of individual sites,” said Fanny Douvere, marine program coordinator at the center. “This has never been done before in a World Heritage context,” she added. Using on-site observations and data supplied by NOAA, the team reports that 21 of the 29 heritage reefs suffered severe and/or repeated exposure to water hot enough to cause heavy bleaching. 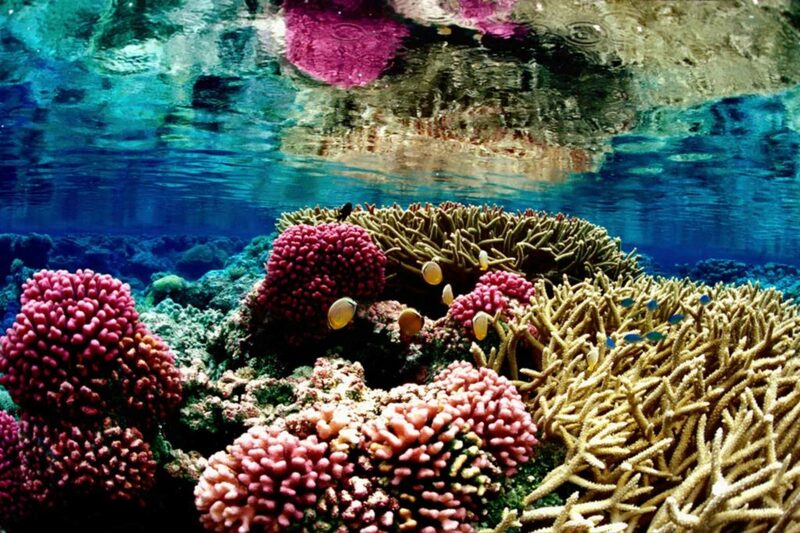 These include even relatively pristine reefs, such as Papahānamokuākea in Hawaii and the Seychelles’ Aldabra Atoll, that have not experienced human degradation. “Coral mortality during the third global bleaching event has been among the worst ever observed,” the report reads. While reefs can recover from bleaching in about 15 to 25 years, 13 of the 26 heritage reefs were bleached more than twice per decade from 1985 to 2013. 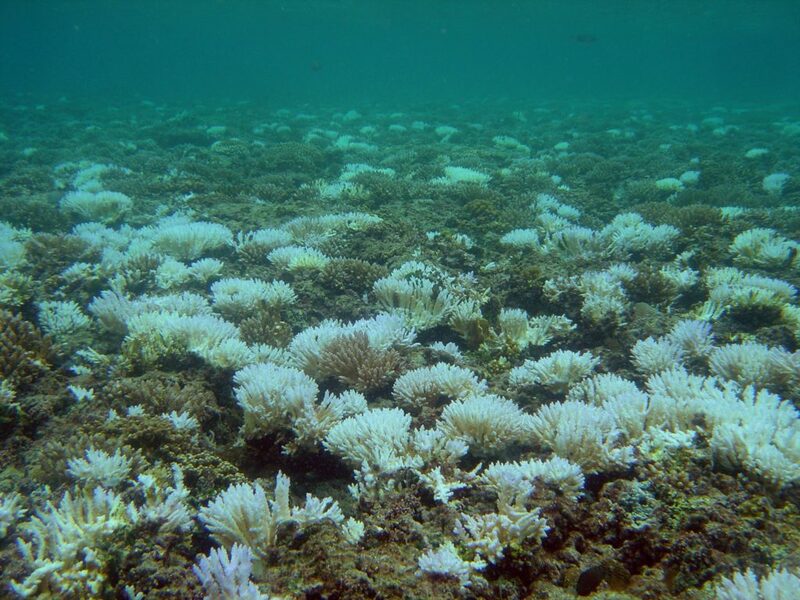 So most reefs were in a tight spot even before this latest and longest bleaching event hit, and they simply may not be able to take further damage and regenerate. Indeed, the report projects that if emission patterns don’t change (i.e. a business as usual scenario), we’ll see more bleaching events at shorter intervals and by the end of the century, all 29 World Heritage site reefs will be completely destroyed. Even if emissions are slashed, reefs still face bad odds from climate change. The Paris Agreement aims to keep global temperature increase below 2°C relative to preindustrial levels but even that falls short. The report calls for a 1.5°C goal, stating that anything above that threshold has a very high chance of causing “severe degradation of the great majority of coral reefs.” Ideally, we’d want to keep under the 1.5°C mark as well, but that’s the highest temperature limit that still gives reefs a fighting chance. To get some context, this is what a healthy reef looks like. Image credits Jim E Maragos, U.S. Fish and Wildlife Service. The report was penned in anticipation of the July 2nd World Heritage Committee meeting in Kraków, Poland. The World Heritage Centre and the International Union for Conservation of Nature have prepared draft decisions based on the findings to be presented to the committee.